This is our fastest and most accurate laser to date. With wireless integration the diversity is unparalleled. Abilities: The Mark 3 can measure traditionally rise over run like most aids on the market. What distinguishes the Mark 3 from other devices first of all is the speed of the unit. 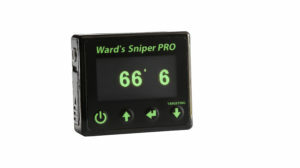 Also, the advantages of being a laser allow it to measure through mirrors, (no more pulling a tape on those critical bank shots), and it can measure through glass, If the glass is clean and no tint or glare kick. Basically, what the human eye sees, the Mark 3 sees. With the speed of the newly developed OLED, (Organic Light Emitting Diode), the display continuously updates at a rate near 30 hertz, and achieves the same speed wireless with zero latency. The 17 deg Xylon presents a line of measurement at 10 feet of 2′ 6″, exponentially, good for wider focal lengths. The 5 deg Xylon presents a line of measurement of 10″ at 10′, exponentially; good for tight overs. Without either Xylon attached, the Mark 3 performs like the traditional MK 2, one inch wide measurement up to 1000 feet. 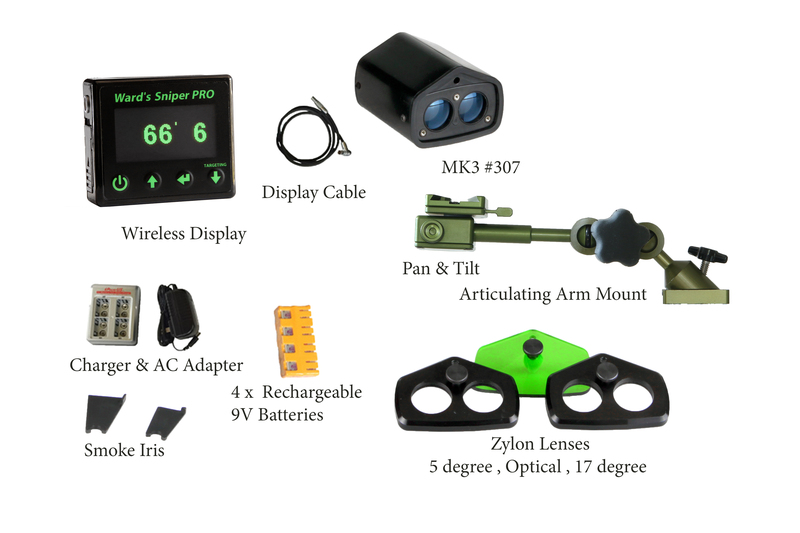 Preston Interface – Arri interface – Chrosziel Interface – C Motion Interface – The Sniper’s distance measurements will display on both the Sniper’s display and the wireless handset at the same time. Smoke on set. When smoke is used on set the laser, much like the human eye, sees it. Payment can be made either of three ways . (1) Bank Transfer (2) PayPal (3) Mail (Either certified check or personal check. * All fees are paid by the customer. Product ships after funds are cleared.